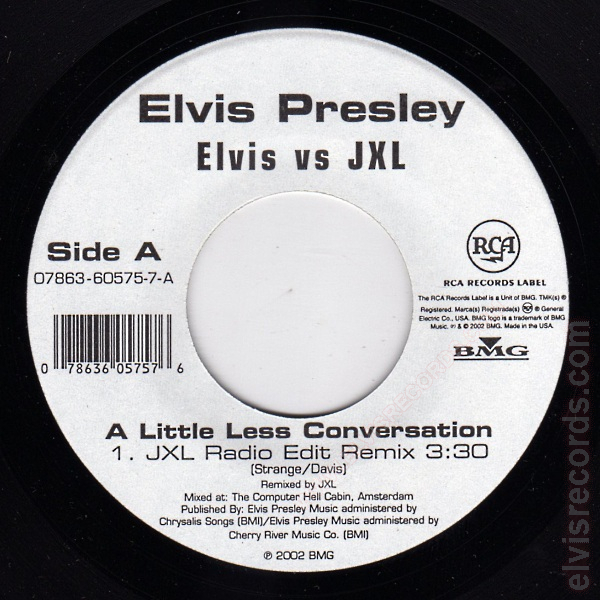 A Little Less Conversation is a remix by JXL. The version on side 1 is the radio edit version with a time of 3:30. 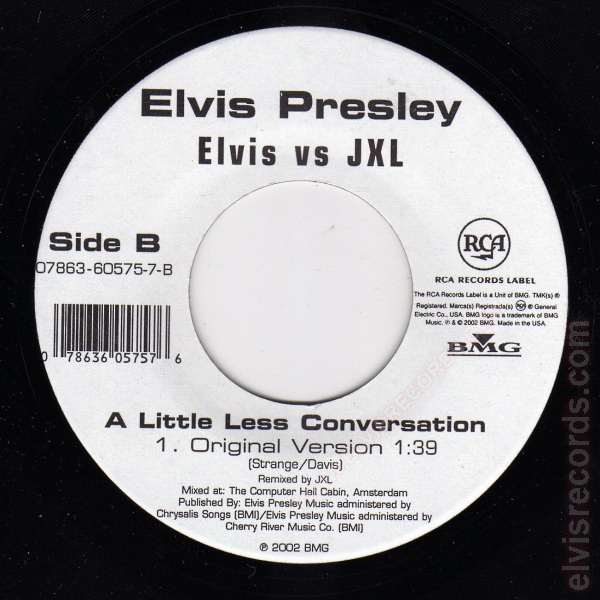 The original version by Elvis Presley is on the flip side with a time of 1:39. 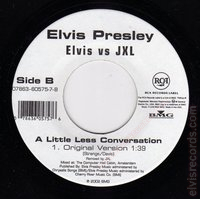 There was no picture sleeve for this single.